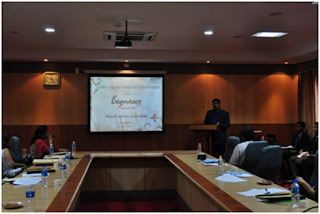 Christ University’s first National Conference on Case Studies was held on July 27, 2012 at the Kengeri campus. The focus of the initiative was to inspire business school fraternity and business practitioners to develop teaching case studies. There are various types of case studies, amongst which teaching case studies focus on mapping the case study to the curriculum and emphasizing on the underlying concepts through the case study. With these clear objectives, the process of inviting abstracts began early during the year. There were more than 30 abstracts received, out of which 22 abstracts were approved. Twenty full case studies were received and fourteen were selected for the presentation in the conference by the review panel. 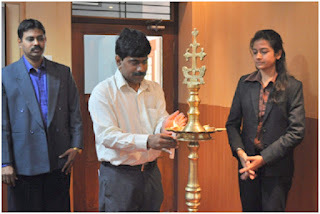 Dr. Dinesh Uday Kumar Lighting the Lamp and Inaugurating the Event. Most of the case authors who presented their case studies were first-time authors. 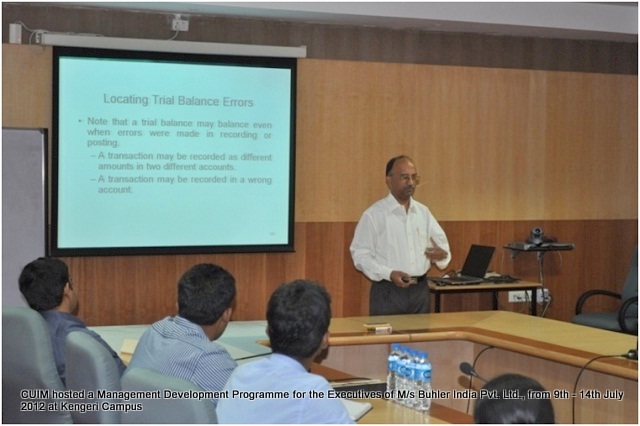 The case studies presented were based on consulting work and real experiences. There were also case studies based on primary and secondary data. The case studies presented covered various topics under the broad areas of Human Resources, Strategy, Corporate Social Responsibility, Marketing, Information Technology and E-business and Entrepreneurship. All the case studies were assessed in two rounds. The first round focused on the technicalities of a case study along with key areas like theme and logical flow of presentation. The second round was the presentation round that focused in-depth on the theme, logical flow, data sufficiency and mapping the case to the curriculum. A different panel of judges was chosen for the final presentation. 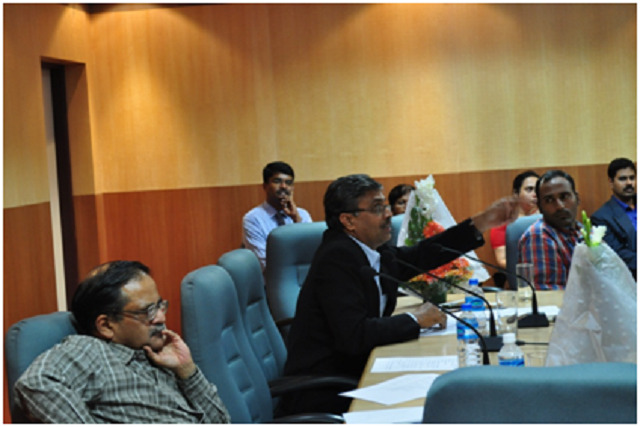 On July 27, the conference was inaugurated by Dr. Dinesh Kumar, Chairperson –Research and Publications and CDOCTA, IIM, Bangalore. Dr. Dinesh’s key note address very clearly emphasized on the takeaways for faculty in developing case studies. 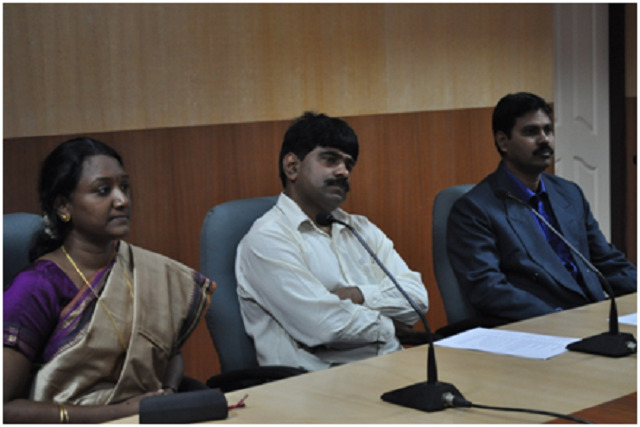 Prof. Bharathi S Gopal, Event Co-ordinator along with the Chief Guest. 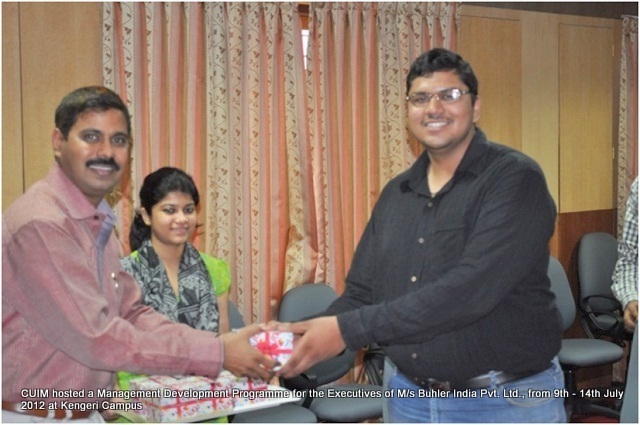 The first prize was won by AbhaSadhana and SimranSadhana, IILM, Delhi for their case study, ‘Lama-A caravan of success’, while the second prize was bagged by Dr. Harold Patrick and Deepak Sharma for their case study, ‘Managing aspirations: Challenges and Strategies’. All the participants gave an encouraging feedback that the entire process of developing case study was a great learning. 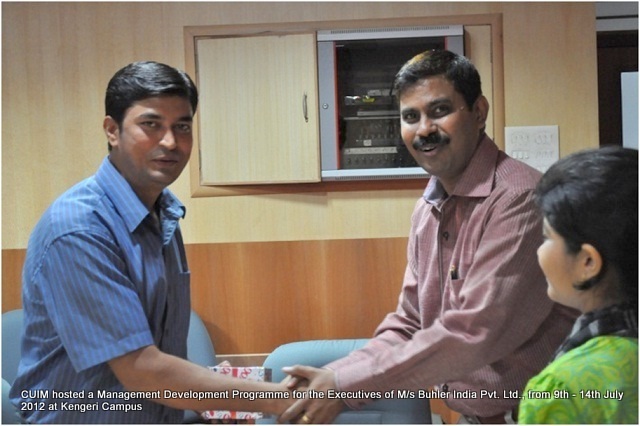 The feedback was also positive with regards to hospitality, food and other aspects. 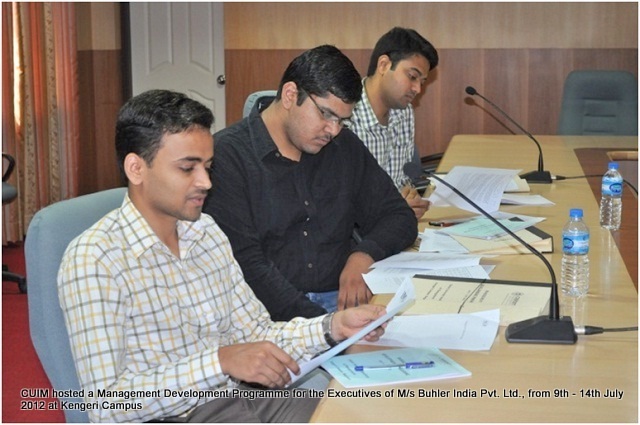 The participants look forward to a continuing association with CUIM in their journey to develop good case studies.